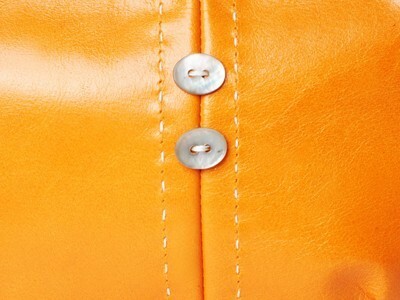 This popular design has an off centre handstitched panel, highlighted with two pearl buttons. 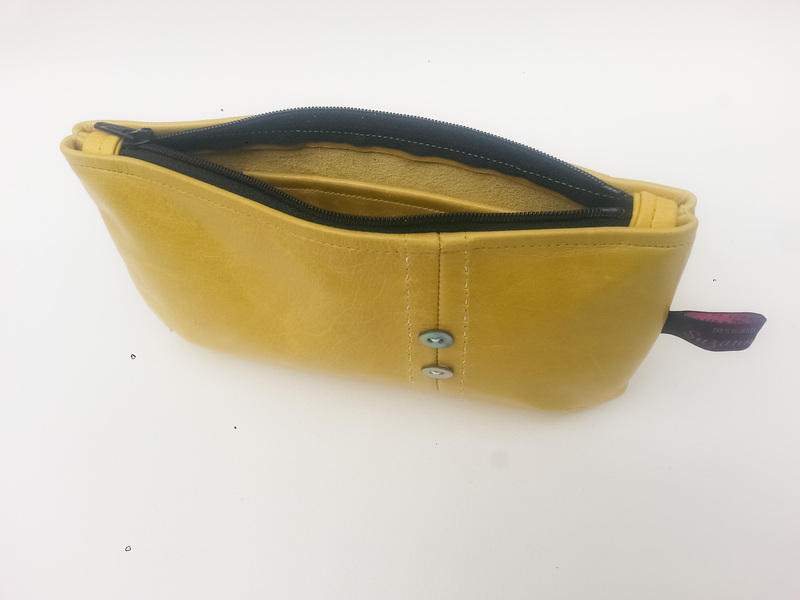 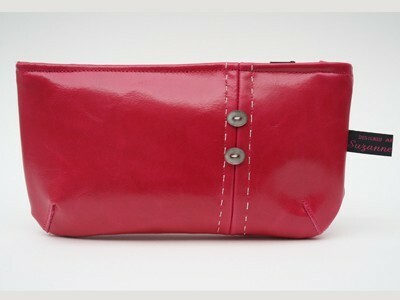 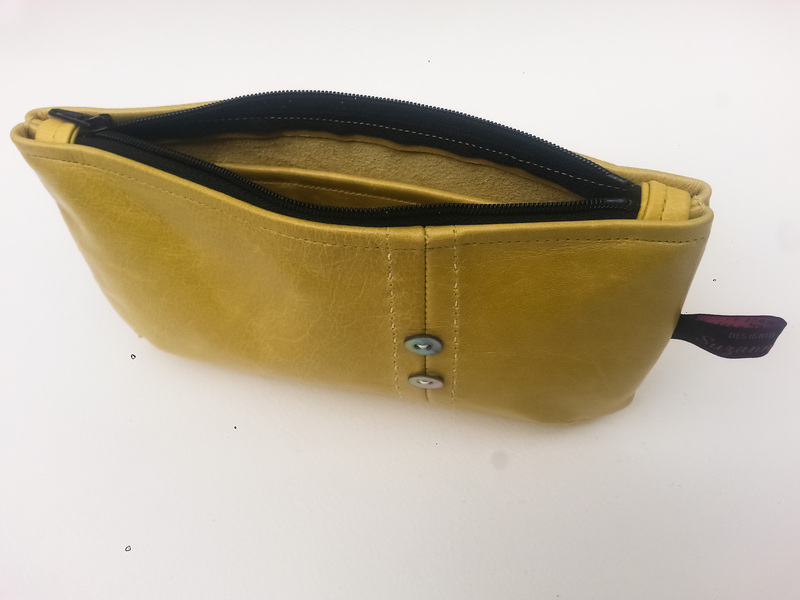 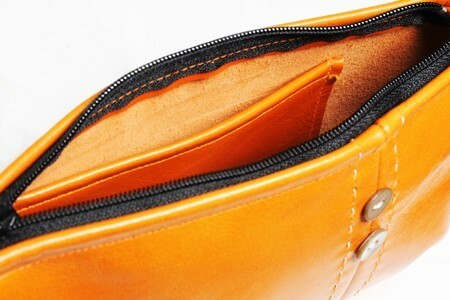 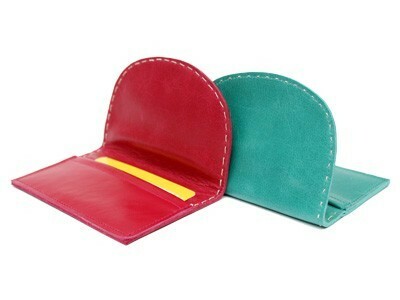 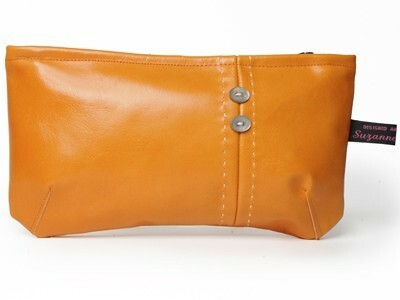 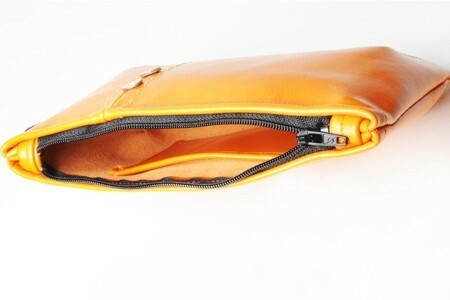 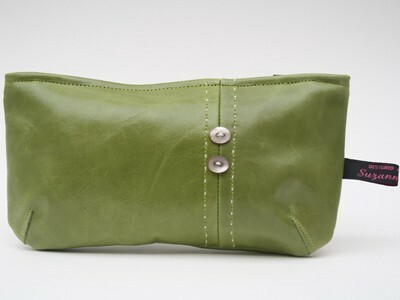 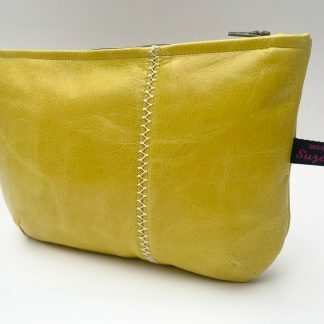 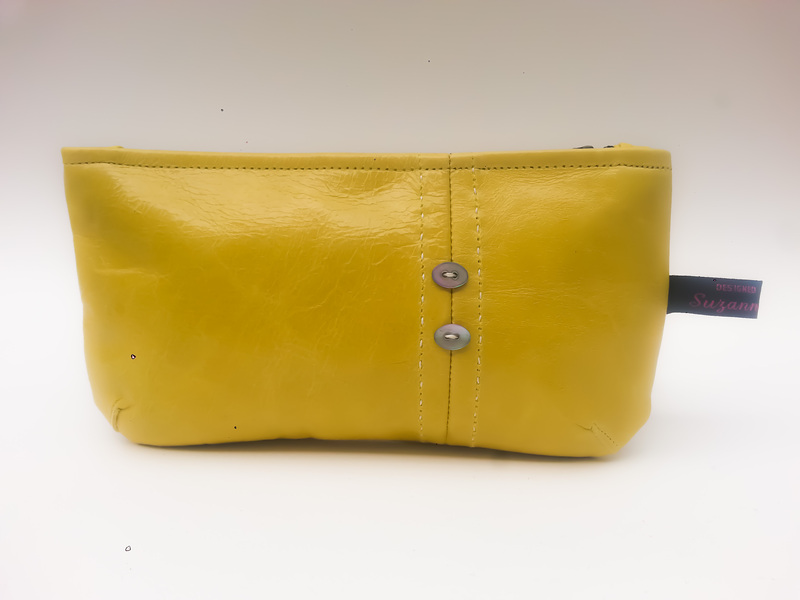 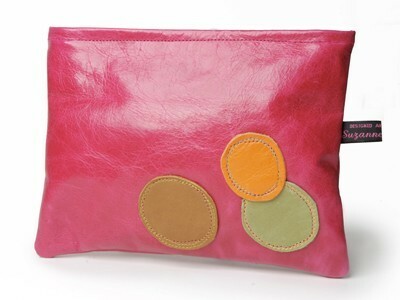 It is unlined and has a leather pocket inside with a 6″ zip opening. 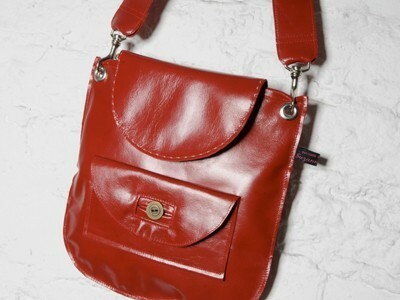 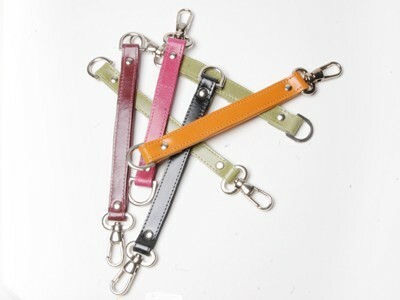 Available in all cow hide colours. 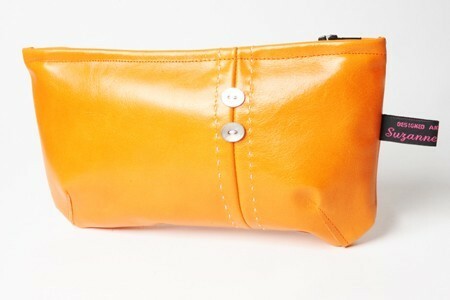 (code: Hs2) Please specify colour when ordering.